I’m always trying to discover new hikes. You should see the waterfall list and out of the way places on my phone. Lucky for me the PWN is full of spots that look like they are in the middle of nowhere, even if they aren’t. 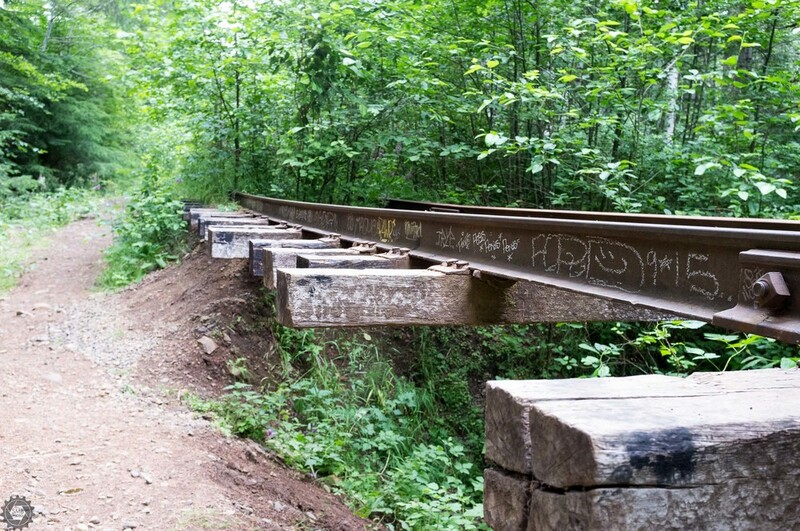 Searching around on the web for interesting spots, I found what looked like an abandoned railroad trestle in the middle of the woods. 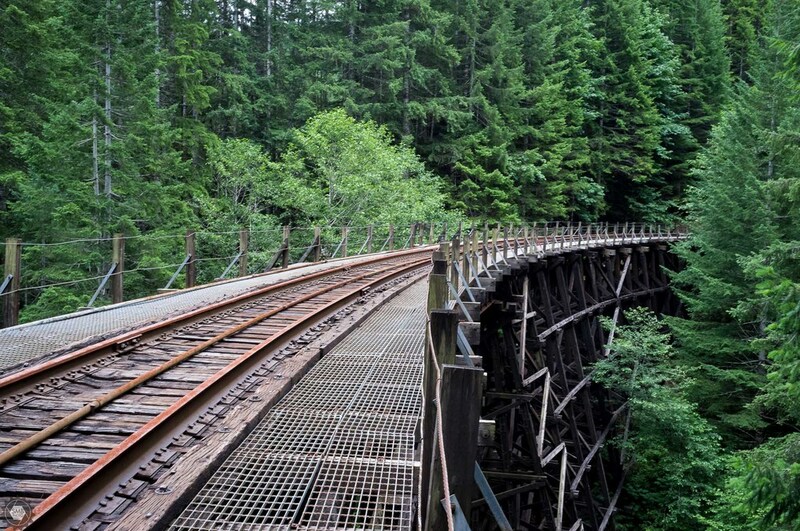 Imagine my surprise when I learned that not only is there an abandoned trestle on those tracks, but actually almost the whole rail line is abandoned. The Port of Tillamook Bay Railroad, a successor to Southern Pacific, was 101 miles long, with 60 trestles, both large and small. The line connected the city of Portland to the Oregon coast. 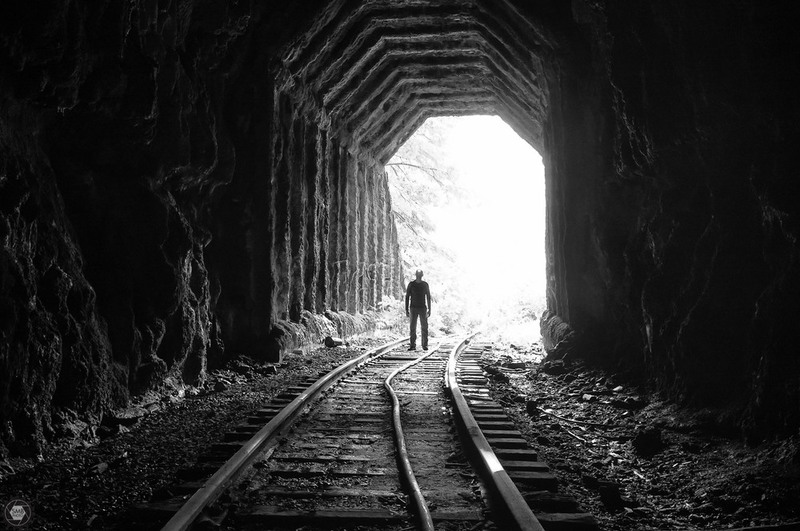 The tracks were originally constructed in 1906 and was know as the “Punk, Rotten and Nasty,” because of the wet and muddy working conditions for the crews. 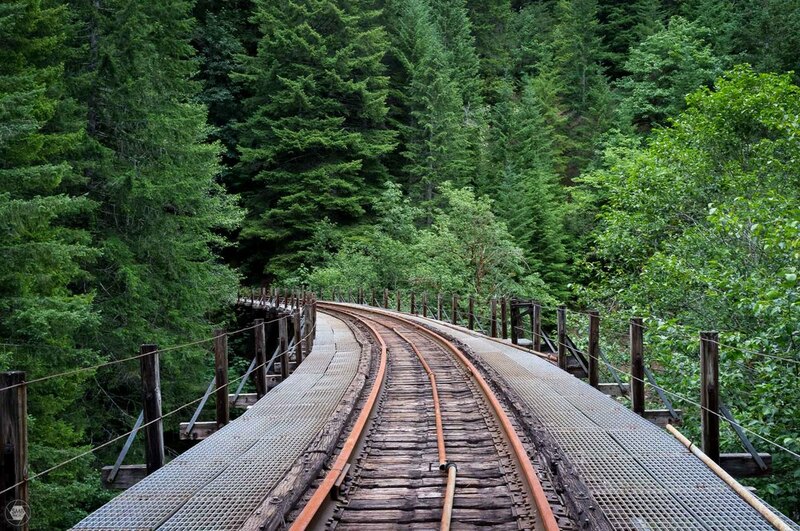 When in operation, the railroad allowed hikers to hike along a nearly 20-mile section of the tracks in the Tillamook State Forest, provided they signed in when starting the hike and stepped aside when the trains passed by. Over the years, storms caused great damage to the line, washing out trestles and flooding tunnels. In 2007, a storm know as the Great Coastal Gail caused so much damage that the line had to be shut down. 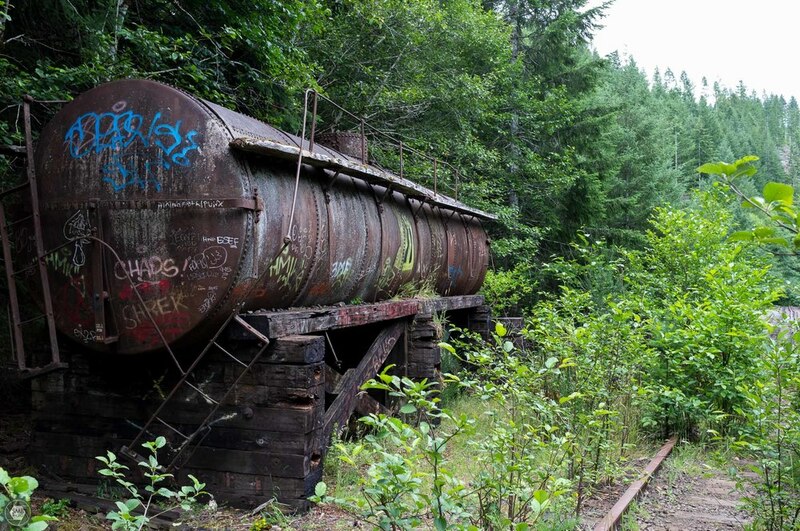 While the Port of Tillamook Bay opted not to fix the tracks, it still owns the right of way. 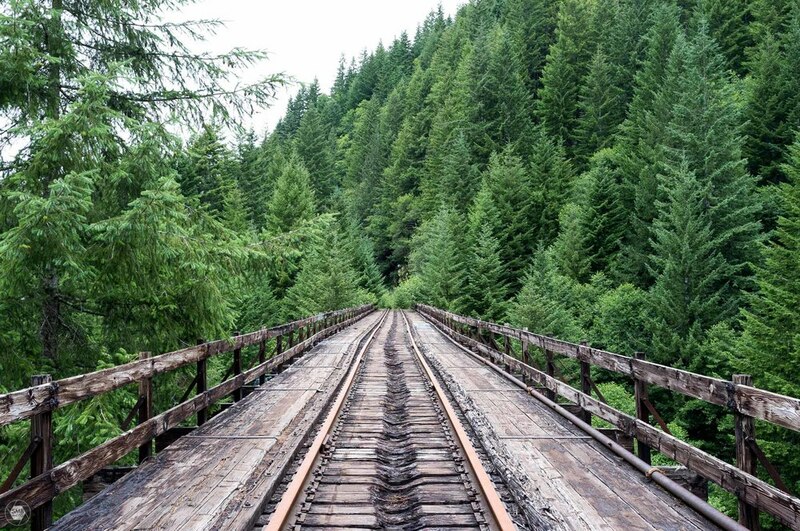 The Rails-toTrails Conservancy and other groups are working to convert 16 miles of the rail line to a trail for hikers and cyclists. Who knows how long this will take but it would be a fantastic addition to the trail system that already exists. Here is a video that was created for the Salmonberry Trail display at the International Trails Symposium. After learning all of this, I was even more excited to get out there and take a look for myself. I convinced a friend to join me. How often do you get to walk along rail lines and not have to worry about a train coming up on you when you are stuck out on a trestle? This particular section of the railroad is truly in the middle of nowhere. It’s about halfway between Portland and the coast and it’s several miles off the main road, cruising along miles of gravel logging roads. These roads don’t really have good signs, “look for the tree with the yellow band” doesn’t count, and everything looks the same which makes navigating to the trailhead a bit challenging. 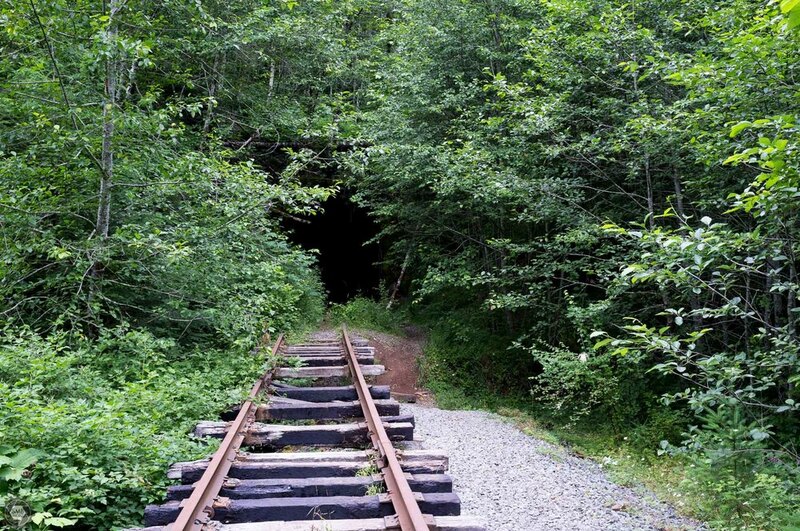 When we got to the trailhead I started to realize how isolated this railroad really was. You really are in the middle of the woods. No cell coverage or power lines to be seen anywhere, just lush green forests. The hike starts along a rough access road next to the tracks and quickly switches to a skinny overgrown path along the trails. Words can't describe how happy I am that I decided to wear long sleeves and pants with all the bushwhacking that we had to do. I despise even the idea of poison oak and it truly felt like we were walking into a post-apocalyptic world. Over the next few miles we passed through two tunnels, two large trestles, many small trestles and spots where the rails were just left hanging over washed out canyons. Not to mention the miles of walking through a tunnel of foliage and small trees that are quickly taking back the railroad lines. It is truly surprising how quickly nature can start to erase the signs of man. Looking at the trees and shrubs coming up through the tracks it is hard to imagine that the tracks have only been abandoned for about ten years. I loved this hike and my only complaint is that we didn’t get more fog. Yes, fog makes everything better, and a little mist would have made for a true PNW experience. The photos don’t do the hike justice but I hope you enjoy them as much as I enjoyed the hike.